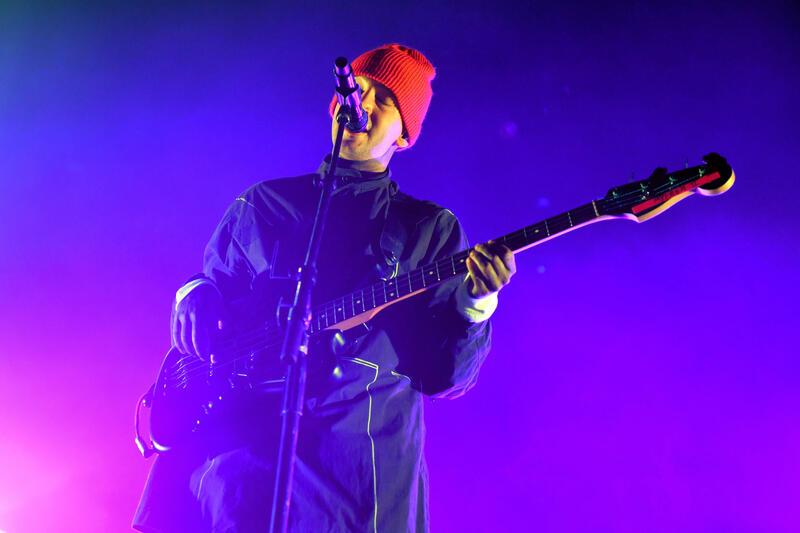 It's been a year since fans heard from Twenty One Pilots, but the band is back with a bang. The musicians dropped two new songs and a video this week, as well as announcing a new album and a world tour. The band broke its yearlong social media silence on Monday with a video of a half-open eye, followed by another video on Tuesday of one that was slightly more open. Finally, on Wednesday, the band barraged their fans with plenty of news. Twenty One Pilots dropped the video for the new songs "Jumpsuit" and "Nico and the Niners." Both songs are from their upcoming fifth studio album, "TRENCH," which is set for release on Oct. 5. The aforementioned eye belongs to an eagle on their album cover. Twenty One Pilots' new album follows their 2015 Grammy-winning "BLURRYFACE" and blends pop, hip-hop, rock and reggae. In "Jumpsuit," singer Tyler Joseph is seen running away from a sinister person in a red cloak chasing him by horseback. The "Stressed Out" performers' new tour, "The Bandito Tour," kicks off on Oct. 16 in Nashville, followed by dates around the U.S., in Australia and New Zealand and in Europe. See all the tour dates here.